Nothing like a little competition to bring fun to the Mercy homes! With the start of fall comes the start of college and professional football season. It’s no secret Mercy Founder and President Nancy Alcorn is an avid football fan. Alcorn grew up in SEC country and has stayed true to that deep football indoctrination, even finding ways to blend her love of the game with her passion to help hurting young women. Her love of sports has influenced the culture and rhythm of the Mercy Multiplied homes. While weekdays in the Mercy residential program are structured, the weekends provide a healthy balance of relaxation, fun, and activity and help the residents stay connected to some of the fun they would normally engage in outside of Mercy. One of the most loved weekend activities in the fall is watching football. In all four Mercy homes, depending on the current residents’ football loyalties, time is reserved for game-day viewing. 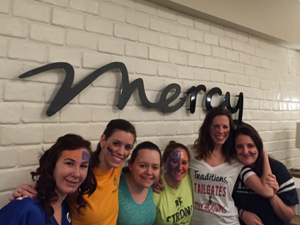 During the Super Bowl, residents decorate the Mercy home with rivaling colors. 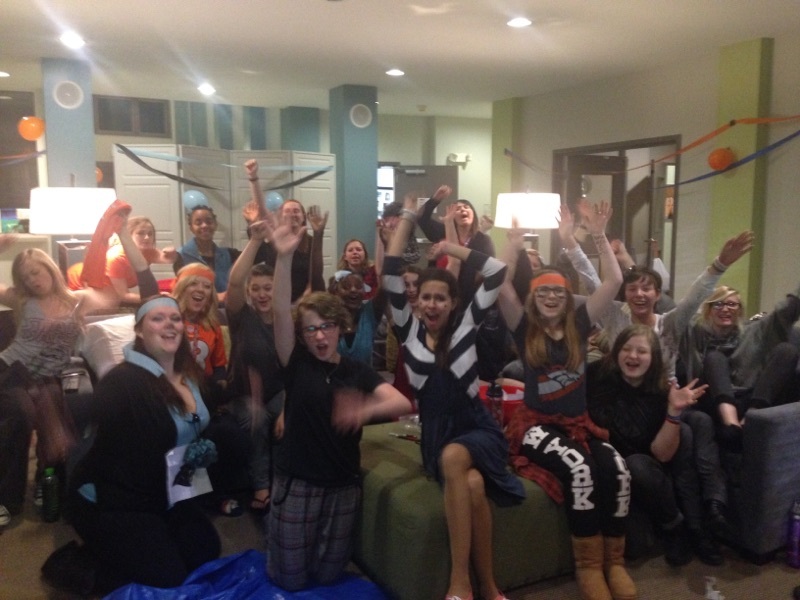 Throughout the weekend, many residents camp out in the afternoons by the televisions featuring football. They work on homework, do group fitness, and socialize all while switching back and forth between games. It often gets competitive and brings lively activity to the home. “When girls’ teams are playing one another, there will be a lot of joking around. 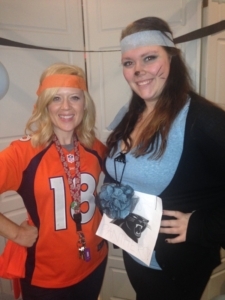 Typically more girls will also watch the game if two residents’ teams are playing. Overall it seems to bring the girls together and allows them to have fun,” said staff member, Emma. Our residents agree that this weekend activity brings a sense of normalcy to their lives. Mercy residents and home staff are enjoying every minute of the NFL season and are looking forward to the Super Bowl parties that are planned in each of the Mercy homes. The residents will decorate each home, wear their team colors, and enjoy healthy rivalry and snacks. If you want to learn more about our Mercy residential program visit our FAQ page.